I’m pretty convinced this is the *it* color right now. I have three clients who are using some variation of it on their walls, in their furnishings, and as vibrant accents throughout the home. It’s slowly becoming one of my favorites, too. Doors. Room. Paint (source unknown). 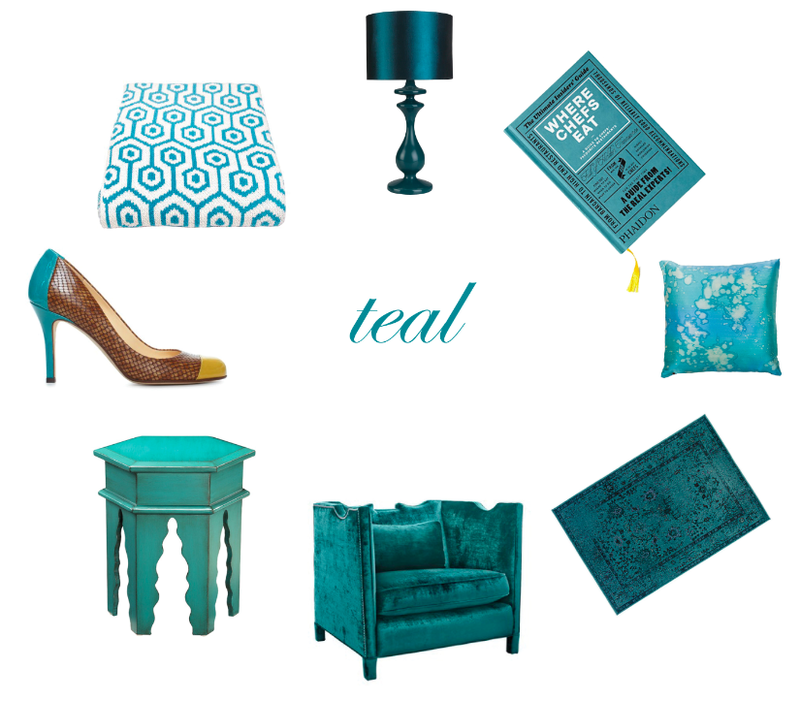 Here are some of my favorite teal picks – many of them are better deals than you might guess! Enjoy, and have a great weekend! Lamp. Chair (via Gilt). Pillow. Rug. Book. Table (via Joss & Main). Shoe. Blanket.